Reed and Cane need to be soaked in water for about 20 to 30 minutes before weaving. Cane Webbing and Spline need to be soaked for about 30 minutes for flexibility. If it still seems stiff, soak a bit longer. Don’t try to install cane webbing if it’s still dry enough to crack. Don’t “oversoak” your cane for long periods of time or overnight. It will become grey and this cannot be fixed. Ash needs to be soaked for about 30 minutes. If it’s still not flexible enough for weaving, soak for a bit longer. Shaker Tape, Seagrass and Fiber Rush are NEVER soaked. Use “as is”, dry, not soaked. Use a caning chisel to carefully chip away the old glue. Be very careful if you’re using a sharp knife or you’ll risk damaging the chair itself. If the glue is not responding to the tool, wet it down with some vinegar and let sit for a while. The vinegar should soften the glue and make it easier to proceed. If the glue doesn’t respond to vinegar, make your life easier and use De Glue Goo®. This product is amazing. De-Glue Goo® is the only non-toxic gel that will dissolve hide glue, white and yellow glues quickly and easily. We guarantee that De-Glue Goo® will dramatically cut your spline groove cleaning time. If you’ve got hard glue in the groove, don’t forget to order this. It’s amazing stuff, for sure. You won’t risk hacking away at the chair groove if you get this product. We highly recommend it. When installing the new cane, use any brand of white glue for indoor chairs. For canoe seats, be sure to use a water proof glue, not a water resistant glue. Reed and Cane should not be sealed with any kind of polyurethane since it’s a natural material. It needs to be open to the air to “breathe”. Reed can be finished with “Weavers Stain”. Fiber Rush can be sealed with shellac. Instructions are in the fiber rush booklet. Cane should not be stained. Most stains will not penetrate the natural bark of the cane. It tends to be uneven and doesn’t dry on the surface properly. At the same time, stain will cause the cane to dry out, become brittle, and will decrease its life by half. The best course of action is to allow the cane to age and develop its patina naturally. Many different stain formulas now exist: oil-based, aerosols, gels, wiping stains, etc. We don’t test ANY of them since they’re not designed to penetrate the natural bark surface of cane. Variations and irregularities in the color WILL definitely occur. 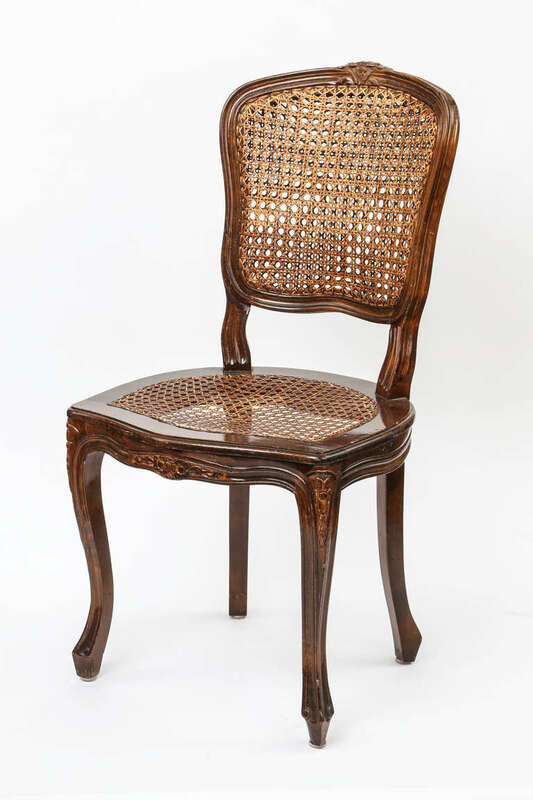 The attempted staining of cane is best left to qualified professional furniture refinishers who have their experience with chair cane as a guide. Further, cane doesn’t possess the absorption characteristics of wood. There is no comparison. 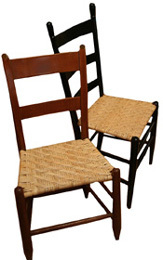 We stand by our advice that you should let natural aging develop the patina and color of your chair cane. Yes, we frequently see modern furniture with stained cane. That doesn’t make it right. 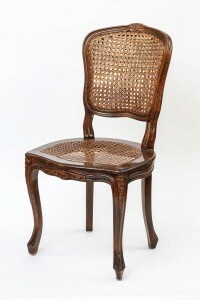 We cannot be responsible for staining results on chair cane. If you really decide that you want an aged color- other than the natural way of letting it develop its own patina with time, you can use an oil stain. TEST IT FIRST on a swatch. We cannot be responsible for your staining results. Other customers have suggested tea as a natural darkener. Try it first with some scraps. Naturally you have to stain with tea before you put the cane in the chair. 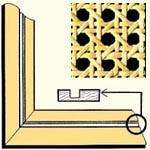 Follow Us on Facebook for more seat weaving advice.